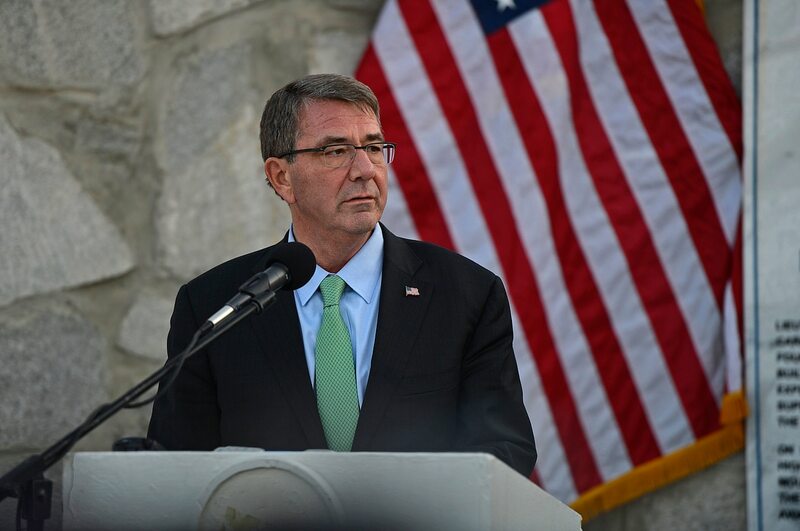 WASHINGTON — During his tenure at the Pentagon, then-Secretary of Defense Ash Carter often talked about how the role of cyber operations in the fight against the Islamic State group, commonly known as ISIS or ISIL. But in October, Carter wrote in a lengthy blog post that he was “largely disappointed” by U.S. Cyber Command’s effectiveness against the militant group. Asked about Carter’s comments during Tuesday’s Federal Times CyberCon event, two of the Pentagon’s point people on the cyberwar versus ISIS avoided challenging the former Pentagon head. But reading between the lines, both Air Force Brig. Gen. Timothy Haugh, director of intelligence at CYBERCOM, and Air Force Col. Todd Stratton, director of the AFCYBER Forward group, indicated a belief that the digital fight against ISIS is trending in the right direction. Click here for the latest coverage from CyberCon! “When you look back now over the last year, we’ve really made some enormous strides,” Haugh said, highlighting in particular the decision to stand up Joint Task Forces Ares, a group tasked with both creating new digital weapons to fight ISIS and to coordinate that digital front with U.S. Central Command. “That partnership has continued to evolve through the present, in terms of how we have approached the partnership between Cyber Command and U.S. Central Command, and we certainly have realized the number of lessons as to how to present options in the context of what Central Command’s desired outcomes would be,” Haugh told the audience. The general also underlined a shift in how CYBERCOM goes after ISIS. Where before it was largely focused on doing cyber-versus-cyber operations, the group is now using what Haugh called the “totality of the U.S. government’s capabilities” against digital efforts from ISIS. “From our perspective that’s not just a Department of Defense issue. It’s how you partner with the Department of State, with Treasury, with Homeland Security — all of those elements to then present options back to both policymakers and to supportive commanders,” he said. “We want to have that discussion because there is a time when you want to determine when you kill the bad guy and when you learn more about the bad guys,” Stratton added. But on that issue, again Haugh sees improvement from the start of the ISIS operations. “I think what we have really seen is a maturation of being able to allow that decision to be transparent, and to ensure that as those decisions occur, it’s being done with everybody’s input, which we want a whole of government input into that to make sure we’re making the right decision and right recommendation for the nation that we will be best postured after any one of those military operations as we go forward,” he said.